Great quality of fabric and print. 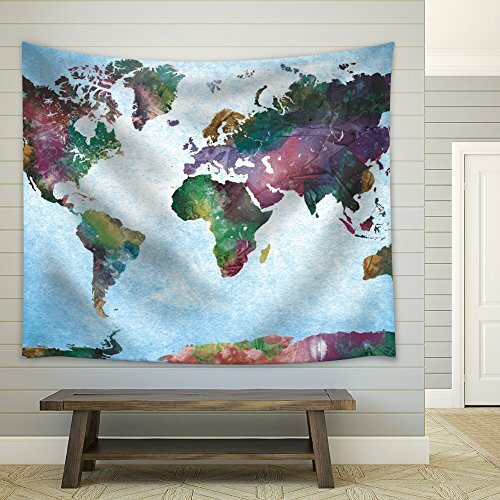 I would definitely order another wall hanging from this company for any other needs. The fabric is heavy enough to hang well and is light enough for one person to work with. The print is crisp and clear. It turned out better than I expected. The attached pictures are to show the piece once it has been hung, as well as both the front and back of the material. The fabric is beautiful. The details are clear. My office is gorgeous. I am extremely pleased with this purchase. First - the package arrived in perfect condition much earlier than expected. Second but not last - the quality of the print is excellent (!!) - just as described and promised by the vendor. The quality of the image is excellent and impressive. You can see in big detail Van Gogh's brush strikes :)) Can;t wait to hang it on my living room wall. Thank you again. Highly recommended!